Hayley’s pups, Yoda & Aeris in the Rocky Mountains. We’ve been in business since 2014 as full-time, career pet sitters and dog walkers. We were voted #1 best pet sitting in Denver in 2018, and top 5 best pet sitting and dog walking in 2017 & 2016, respectively. We are insured and bonded, protecting you, your pets, and your property. We are Pet First Aid and CPR certified. 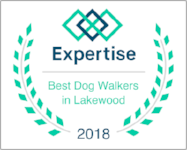 We’re members of Doggone Safe, and the National Association of Professional Pet Sitters, and Pet Sitter’s International, and practice continuing education. We follow force-free/positive reinforcement handling techniques with pets. We genuinely love animals and love spending time with your pets!